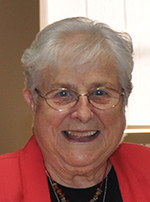 Sister Contance Lovcik, SNJM departed this life on May 28, 2017 at Marie Rose Center, Mary’s Woods, in Lake Oswego, Oregon. Sister Constance had celebrated 92 years of life and 72 years of religious profession. Sister Mary Berchmans Trentacoste, SNJM departed this life on April 15, 2017 at Our Lady of Fatima, Saratoga, California. Sister Mary Berchmans celebrated 86 years of life and 61 years of her religious profession. 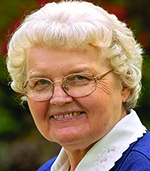 Sister Mary Patricia Baxter, SNJM departed this life on March 23, 2017 at Marie Rose Center, Mary’s Woods in Lake Oswego, OR. Sister Pat celebrated 90 years of life and 70 years of religious profession. 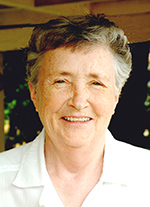 Sister Pat Daly, SNJM departed this life March 18, 2017, in Spokane, Washington. 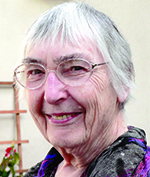 Sister Pat celebrated 90 years of life and 69 years of religious profession. 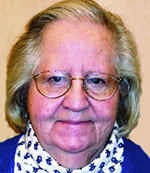 Sister Katherine Gray departed this life January 29, 2017 in Spokane, Washington. 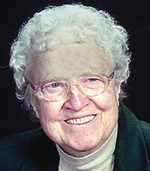 Sister Katherine celebrated 94 years of lifeand 70 years of religious profession. 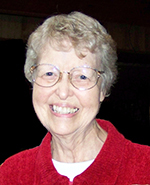 Sister Mary Angela Morbeck, SNJM departed this life on January 27, 2017 at Marie Rose Center, Mary’s Woods in Lake Oswego, OR. Sister Mary Angela had celebrated 94 years of life and 74 years of religious profession. 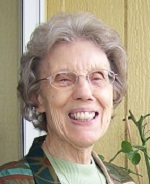 Sister Joann died January 25, 2017, at Brookdale South Regal, Spokane, WA. She is survived by her Religious Sisters. She is predeceased by her parents and her four siblings: John Groo, Mary Kestell, Katherine Dugoni, and Patricia Kruger. A devoted aunt, she is survived by numerous nieces and nephews and their extended families living in the Spokane area and in California. 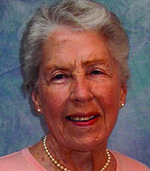 Sister Mary Ann Herres died December 18, 2016, at Brookdale South Regal in Spokane, WA. Mary Ann is survived by her religious Sisters, her brother Richard and many beloved and loving nieces and nephews. Her brothers Michael, Leonard, John, Herman, Ferdinand, Hubert, Joseph and Herbert have died.